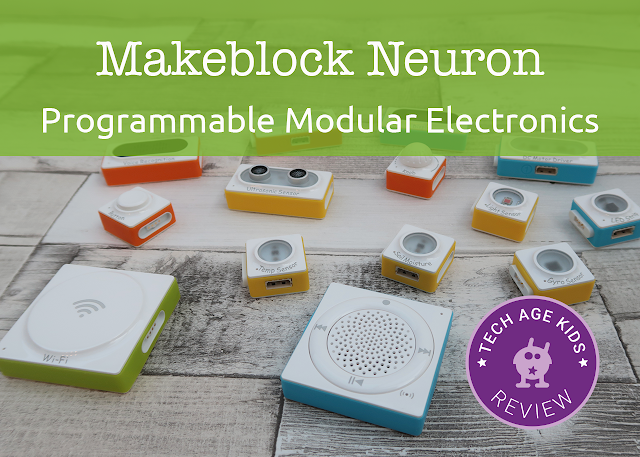 We've had some time to get hands-on with Makeblock Neuron, a new range of programmable electronics blocks for kids from the makers of the mBot range of robots that we love. We have the Science Kit and the Light Kit. Each kit comes with a set of projects which include cardboard models to make. 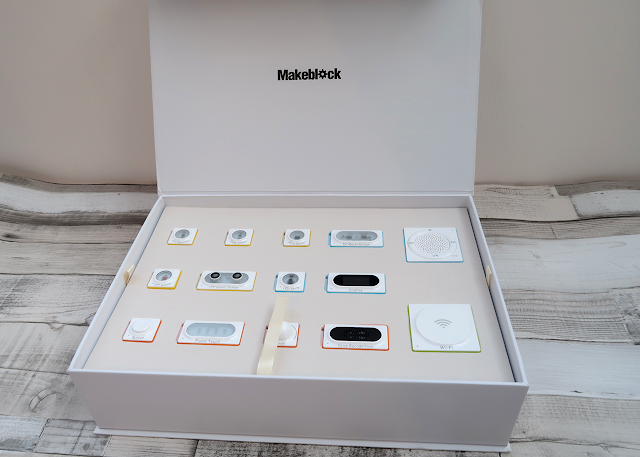 There are several different Makeblock Neuron kits which focus on different kinds of projects. We reviewes the Science Lab and Light Wizard kits. 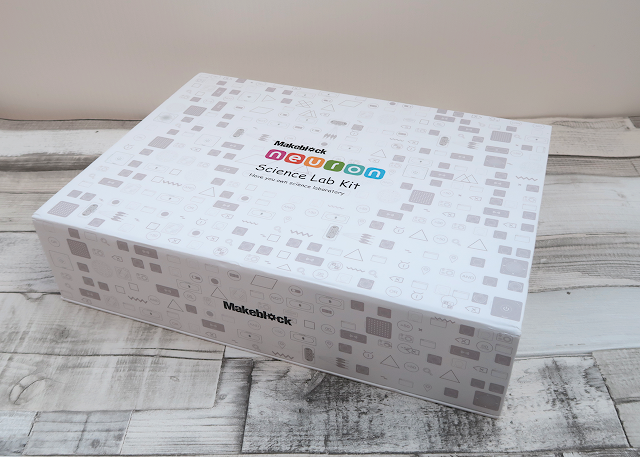 The Makeblock Neuron Inventor Kit is now available to buy and looks like a great place to start with this range. 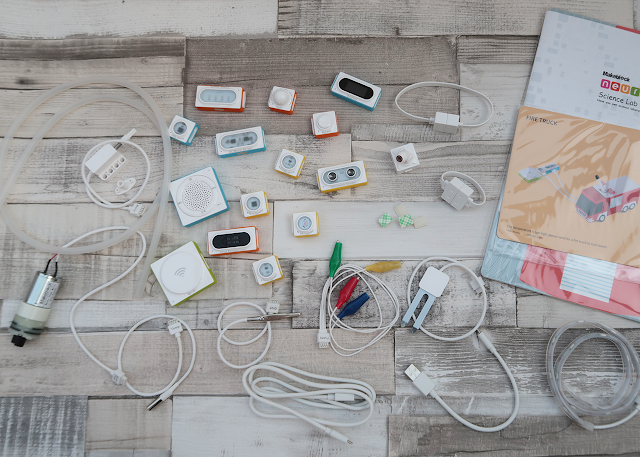 The blocks can be mixed and matched so you can purchase additional kits later and mix and match the components you have to make new projects. The Makeblock Neuron packaging is gorgeous and practical. The cardboard boxes have magnetic catches which makes it really easy for kids to open and close the sets which is important for getting them to put things away. Inside there are foam inserts with spaces for the blocks and cables. Jewellery-box style ribbons are used to lift out the sections. It's really nicely put together and works well for long-term storage. Unfortunately, one of our boxes got dented in transit from China but the contents were unharmed. The blocks are really nicely made and look very smart. They snap together easily using 'pogo pins', they don't easily fall apart but are very easy to separate. 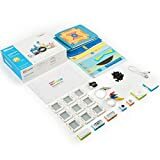 They seem pretty robust which is really important for a kit that you want kids to experiment with. The blocks are magnetic on the back so that projects can be mounted on a metal surface such as a refrigerator door, a metal noticeboard or a locker. This is a brilliant feature. The range of components is brilliant. We love the light wires, LED strips, voice recognition and LCD display modules. These are proper components that you can use to make really cool stuff. Honestly, the water pump makes me a little nervous for independent use around electronics but with supervision it's a really interesting component to have. 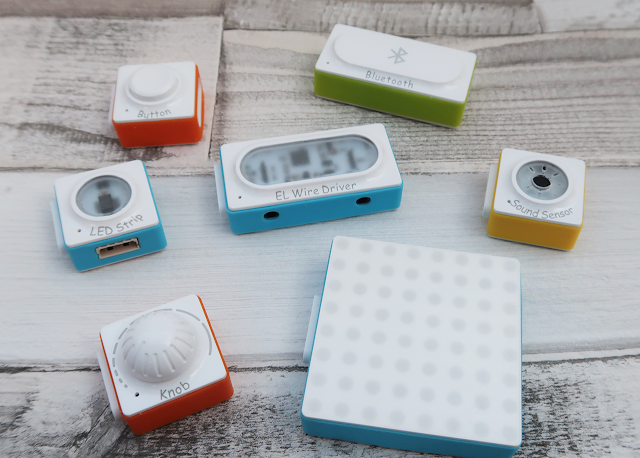 The blocks can be powered from a USB port on a laptop or a power bank. This means that you can get started straight away. If you don't add any code then the blocks will use their default behaviours to allow inputs to control outputs. For example, you can create a light monitor by connecting a light sensor to an LCD display block. 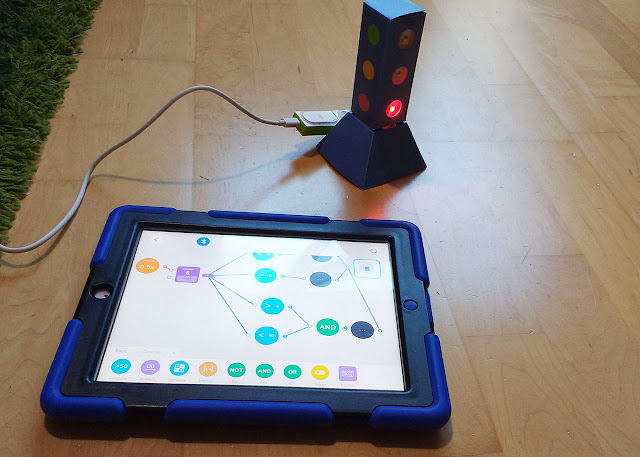 There's a Makeblock Neuron app for iOS and Android which you'll need for programming. The project cards have some information but each project has an associated web page where you'll find more information. For the Science Kit my 11 year old son started with the Windmill project. This is straightforward project which doesn't need any code. The models are best assembled with double sided sticky tape which is not included. The use of English is poor throughout the projects but mostly understandable. There are two other projects, a smart plant sensor and a fire engine that squirts water. I guess you could combine these two to create a self-watering plant. We didn't really have a good setup for using water around electronics so I think we'll save that one for outdoors in nicer weather. The Light Kit has a traffic light project with a cardboard model to make which we got started with. We got a bit confused as the red light seems to end up at the bottom rather than the top of the model (you can't make it the other way around). The code seems to assume that the red light is at the top though. Other than that it was pretty straightforward to make and code. 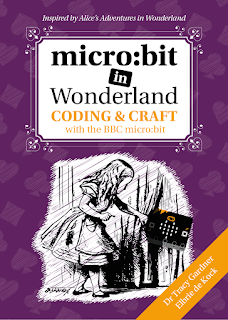 The code uses a flow-based approach which is a bit different for kids who are used to procedural programming in Scratch. My 9-year-old then wanted the traffic lights to go through the full sequence including red-and-amber. 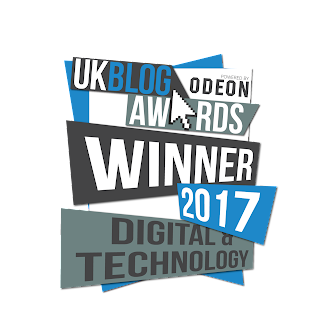 The editor uses drag and drop blocks which are connected together into a flow using arrows and logic blocks. It's tricky to layout code in a flow format so that it stays readable and the Neuron editor is much better than some that we've seen. It's a bit too easy to accidentally delete blocks but it's reasonably usable. 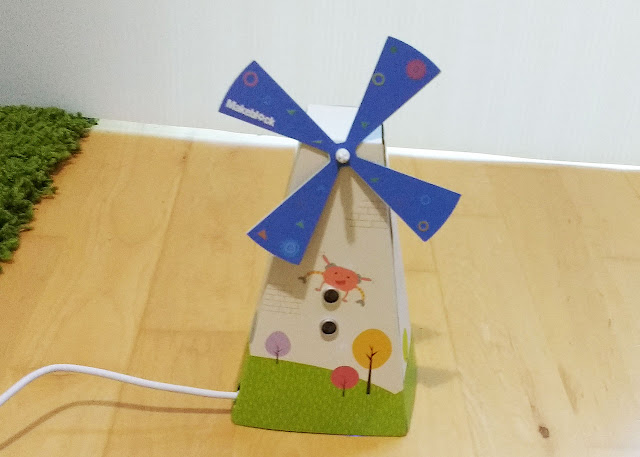 After completing the Windmill project my son started making his own projects. He got the Wifi module set up and was quickly writing code to control modules. He discovered the voice activation and started programming light sequences in response to different voice commands. The voice recognition isn't perfect but good enough to create some fun projects. It was easy to connect to both Wifi and Bluetooth but both disconnected occasionally and needed a reconnection. Reconnecting was quick and didn't slow things down too much. Support for Scratch-based coding in Makeblock's mBlock editor was promised in the Kickstarter but isn't available in the current version of mBlock. You can preview the functionality in an experimental release of mBlock though. Our sets are Kickstarter rewards but if we look at the planned retail prices for these kits then you definitely get a lot of kit for your money. And it's really good quality too. The only area where we feel Neuron falls down a little is the depth and amount of educational content. 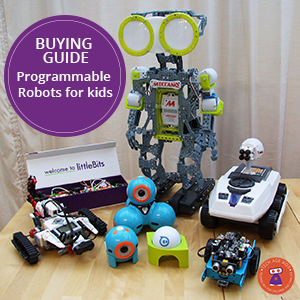 This is less of an issue for more techie kids and families who will soon be making their own projects. 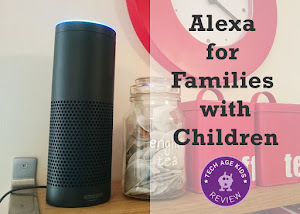 The technology is perfect for beginners and less tech-focussed families but they would benefit from more starter projects and more in-depth educational material. Makeblock Neuron went down really well with my children. They have used similar products before so were familiar with the overall idea of programmable modular electronics. The technology worked smoothly. The quality and variety of components is very good. The starter projects were pretty good though we would have liked a lot more of them. Some kids won't be ready to create their own projects so quickly and will want more projects that take them through the basics. Hopefully, there will be more projects in future. The Makeblock Neuron Inventor Kit (a different one to those we reviewed but from the same range) is now available to buy.